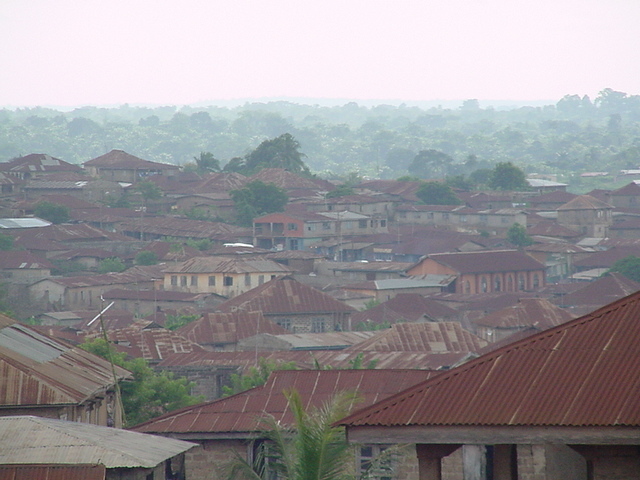 Ikirun, is an historical city that derived its name from the founder of the town called Akinorun. Akinorun is a hunter who founded Ikirun. Ikirun is located within latitude 7 degree 50 feet north of Equator and longitude 4 degree 40 feet east of Greenwich meridian. The town is located in a valley surrounded by 2 hills. 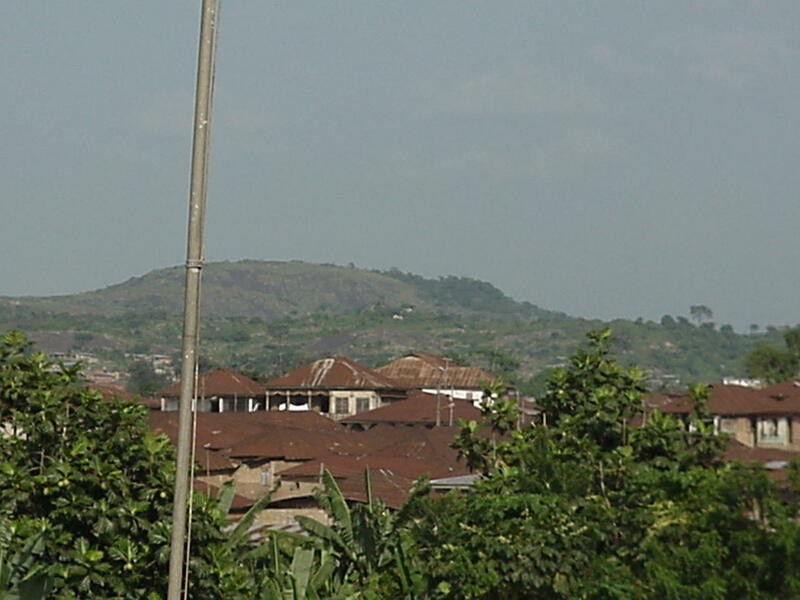 Obagun/Gbogi hill to north and Aafo hill to the south and Alaroka and Idi-olo mountain to the east. 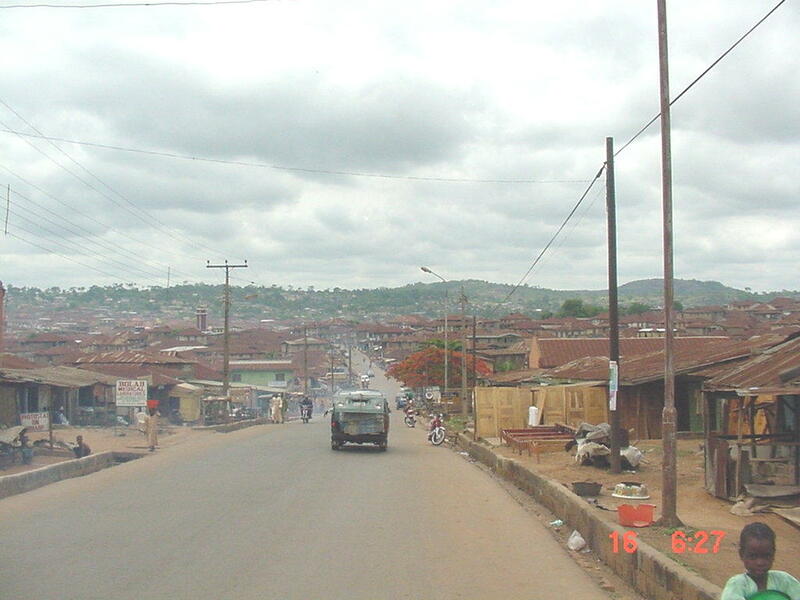 Ikirun is centrally located in Osun north-east division of Osun state. It is bounded on the north by Inisa town in Odo-otin local government area. On the south by Osogbo, the Osun state capital. To the east by Iragbiji town in Boripe local government council. And on the west by Eko-Ende town also in Ifelodun local government council. It is estimated that the population of Ikirun was about 60,826 (according to National Population Census, Ikirun). Gboleru and Adedeji moved out of the original site at Igbo Irele because there was shortage of water. Oba-Ara became the first ruler of the present Ikirun while Basetan became Eesa and head of the traditional chiefs and kingmakers in the town. In recognition of the original role of Basetan as Oba-Aras host, every Oba soon after his appointment is obliged to spend a period of time , previously three months but now cut to three days with Eesa. Just as Ikirun is derived from Akinorun so does the title of Oba Akinrun takes its origin from the same name. Women also hold traditional titles in Ikirun such as Iyalode of Ikirun, Otun Iyalode, Osi Iyalode, Ekerin Iyalode and Iyaloja. 203. Samolope 204. Toibo. 205. Solo Ibikunle. 206. Ile Ponjo 207. 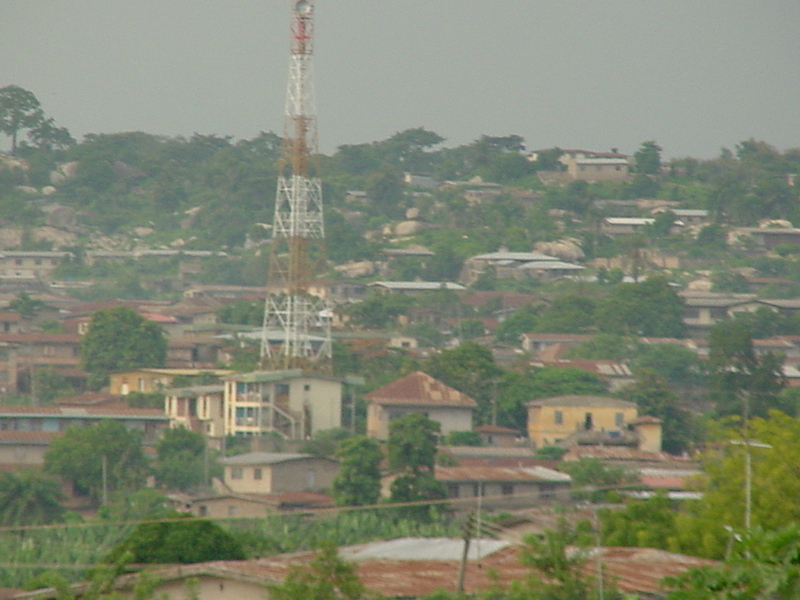 Ile Agboja. 208. Ile Kondo sile. 10. National Orientation Agency (NAO), Old Ifelodun Local Government Secretariat, Ikirun. 11. National Youth Service Corps Zonal Headquarters, New Ifelodun Local Government Secretariat, Ikirun. 12. 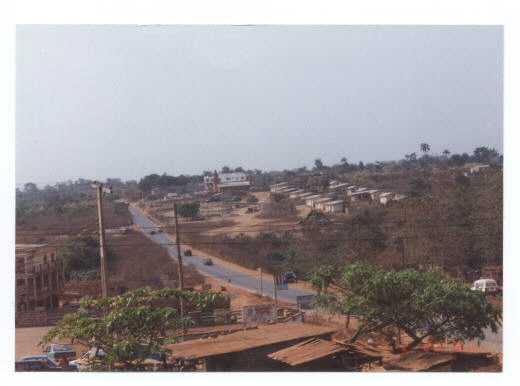 Federal Ministry of Works and Housing Along Ikirun-Ofa Express Road, Ikirun. a. Osun State Agricultural Mechanization Corporation, State Headquarters, Ikirun. a. Ministry of Education Along Iragbiji Road, Ikirun. b. Fire Service Along Station Road, Ikirun. c. Chief Magistrate Court Iragbiji Road, Ikirun. e. Ministry of Health (Primary Health Care Center), Olaore Estate, Inisha Road, Ikirun. f. Ministry of Works (Zonal Office), Eweta, Ikirun. g. Osun State Property Development Corporation (Agunbe Estate), Osogbo Road, Ikirun. h. Land and Physical Planning Bureau, Labaeka Estate, Old Inisha Road, Ikirun. i. Osun State Water Corporation (Zonal Office), Old Inisha Road, Ikirun. j. Ifelodun Local Government Education Authority Akinorun Grammar School-Express Junction, Ikirun. k. Ministry of Finance, Commerce and Industry (Internal Revenue) Oke Afo, Ikirun. 1. Oja Oba which is attended every day. It is situated directly in front of the Obas palace. 2. Oja Oba Adeyemi popularly known as Oja Alamisi i.e. Thursday Market. It is attended once every Thursday. It is situated along Oke Afo-Express junction road, Ikirun. 3. Oja Oba Adedeji popularly known as Oja Monday which is attended every Monday. It is situated directly in front of Akinorun Grammar School, Railway Station Road, Ikirun. 4. Oja Oba Adedeji, popularly known as Oja Satide is attended every Saturday and is situated along State Hospital Road, Ikirun. 5. Oba Adedeji Shopping Complex, situated along Oke Afo, Osogbo Road, Ikirun. 1. Akinorun Grammar School, Station Road, Ikirun. 2. African Church Grammar School, Idi Olo area, Old Iragbiji Road, Ikirun. 3. Coker Memorial Grammar School, Old Inisha Road, Ikirun. 4. Onaolapo Memorial Grammar School, Isale Agunjin, Ikirun. 5. Holy Michael High School, Iragbiji Road, Ikirun. 6. Orimolade Commercial Grammar School, Iragbiji Road, Ikirun. 7. School of Science, Old Inisha Road, P.O. Box 446, Ikirun. 8. Federal Government College, Odo Amo, P.O. Box 5203, Ikirun. 2. Methodist Primary School, Oke Aafo, Ikirun. 4. School for the Handicapped Children, Oke Iroko, Ikirun. 5. Local Authority Primary School, Moboreje, Ikirun. 6. Methodist Primary School II, Oke Aafo, Ikirun. 7. Baptist Day School, Oke Iroko, Ikirun. 8. St. Pauls R.C.M. Primary School, Ikirun. 9. Holy Michael Cherubin and Seraphim Church School, Ikirun. 10. All Saints African Primary School, Oke Iroko, Ikirun. 12. L.A. Primary School, Moboreje, Ikirun. 13. Savior Primary School, Behind Old Motor park, Ikirun. 14. Community Primary School, Eweta, Ikirun. a. KENTAIDO HOTEL, Station Road, Ikirun. c. OTITOLEKE GUEST INN, Oke Afo, Ikirun. d. OLOOKU RELAXING CORNER, Oke Aafo, Ikirun. e. IREWOLEDE HOTEL, Oyedokun Street, Ikirun. f. RAINBOW HOTEL, Oyedokun Street, Ikirun. g. OBALOWU HOTEL, Eweta, Ikirun. h. RIF CAFETERIA, Okiti Baba, Inisha Road, Ikirun. 1. Cooperative Bank PLC, Inisha Road, Ikirun. 2. Union Bank PLC, Inisha Road, Ikirun. 3. Ifelodun Community Bank, Oke Aafo, Ikirun. The Irele festival comes up in July every year to coincide with harvest of new yams. In Ikirun, new yams must not be brought to the Obas market for sale until after Irele yam festival is held. Irele festival is celeberated to commemorate the companion of founder of Ikirun. History has it that Akinorun came with a companion, named Irele. Like Akinorun he was a powerful hunter and warrior. They both first settle in what is known as Igbo Irele. Not quite long after their arrival at Igbo Irele, Akinorun took ill. He called his companion and his people, and handed the leadership over to Irele. Thereafter he died. The administration of the town and welfare of all that was left by Akinorun were in the hands of Akinoruns children and Irele. He took up the challenge and whenever war threatened Igbo Irele, he quickly rose and founght gallantly. Irele announced his imminent death and gave certain instruction that must be adhere to by the people. He gave them two calabashes with the instructions never to open them. He then dipped osanyin staff into the ground with instructions that whenever an attack was imminent, the people should go there and call his name upon which he would fight for them. He added that when he died he black dog must be sacrified. With this instructions, Irele, according to legend, entered into the ground. Akinoruns eldest son, Akinbiyi continued the administration. 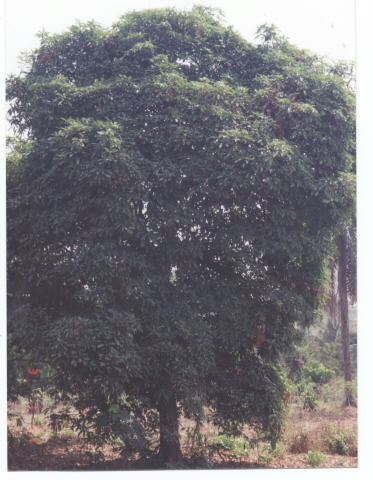 It was in appreciation of what Irele did for Ikirun when he was alive that the people deified him and made a convenant that they would worship him and offer him sacrifices every year during the month of July to coincide with harvest of the yams. In Yoruba land, there is a festival which is called Egungun festival. (Magical masquerade) of the town. Celebration of Egungun festival in Ikirun. On the appointed day, Akinorun and his traditional Chiefs moves to celebrate in the residence of Chiefs Ojomu and Olota, they will later proceed to Igbo Igbale for further ceremonies. people. These include Owolewa, Eyeba, Alagbaa and Eyefo-odo. On the seventh day (Ijo Ije), Chief Ojomu and Olota do feast the Egunguns, celebrants and other traditional chiefs. They prepare meals such as pounded yam and egusi soup. All Egunguns come out and pay homage to Akinrun and his Chiefs at the palace. The Egunguns will entertain the Oba and the Chiefs and thereafter offer prayer for Akinrun. As part of the ceremony, the masquerades proceed to the central market, near the Akinruns palace where they entertain the townfolks by blessing the artisans, traders and market men and women. The people in turn give present such as kolanut and money to all the masquerades. The idea behind Ikirun Day Celebration was the outcome or aftermath of a meeting of all Clubs in Ikirun which took place in December, 1991. First, to give the indigenes of Ikirun an opportunity to get acquaninted with the progress that their town has made so far, its problems and aspirations, and therefore make an assessment of the areas which various clubs and associations could be of help, financially and morally to the historic town. Secondly, Ikirun Day Celebration is an occasion of re-union. The Day is celebrated so as to generate rapport among Ikirun indigines by bringing them together in a carnival-like atmosphere, at least once a year. Thirdly, to bring home Ikirun indigenes who sojourn in far away places without coming home for many years. Fourthly, the Day is also set aside to generate and raise funds for the developmental projects e.g. building of modern palace for Akinrun. Lastly, to invite visitors, investors outsiders and friends to Ikirun in order to know the indigines and appreciate the beauty and culture of the township. The first Ikirun Day came up on the 18th April, 1992 at Akinorun Grammar School premises, Ikirun. The Day was preceded by prayers in the mosques and churches, symposium and paying of homage to Kabiyesi by the people of Ikirun at home and abroad. 1. Construction of more classrooms in our primary and secondary schools. 6. Rehabilitation and tarring of existing township roads. 10. Equiping the Ikirun Library with current books and computers. IKIRUN A TOWN IN OSUN STATE, NIGERIA By Taye Olasunkanmi Bello, Adeolu Printing Press, Adenuga Gbongan. 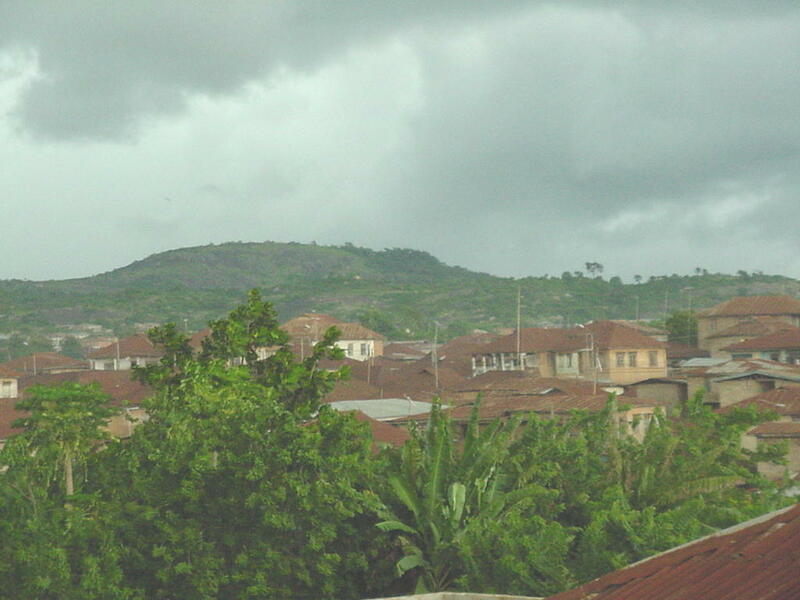 Osun State, Nigeria. 1st edition, 1997. Printed in Nigeria. Thank a lot for visiting IKIRUN website. P.O. BOX 162521, ATLANTA, GEORGIA 30321. USA.